Last month, I wrote about blue-penciling of non-competition and non-solicitation agreements and about the fact that if you are dealing with an unenforceable noncompete in Virginia, the entire clause will likely be stricken rather than amended. If you are a Virginia employer seeking to ensure your employees are actually bound by their agreements not to complete with your business post-employment, one thing you may be able to do is specify in the agreement that it will be governed by the law of a different state (i.e., one whose laws permit blue-penciling or which are otherwise considered more favorable to employers). This approach, however, will only be viable if your company (or the employee) has some significant connection with the selected state, as it is considered a violation of due process rights to surprise employees with arbitrary choice-of-law provisions. There is an easier way to ensure the noncompete provisions have teeth: make the obligations severable. Severability. If any clause, provision, covenant or condition of this Agreement, or the application thereof to any person, place or circumstance, shall be held to be invalid, unenforceable, or void, the remainder of this Agreement shall remain in full force and effect. To obtain a preliminary injunction in Virginia, a plaintiff must show (1) that he is likely to succeed on the merits; (2) that he is likely to suffer irreparable harm in the absence of preliminary relief; (3) that the balance of equities tips in his favor; and (4) that an injunction is in the public interest. Real Truth About Obama v. Federal Election Com’n, 575 F.3d 342 (4th Cir. 2009). To enjoin an ex-employee from violating his non-compete agreement, getting past the first element requires the plaintiff to persuade the court that the noncompete is no broader than necessary to protect a legitimate business interest. Courts will examine the function, scope, duration, and overall reasonableness of the restriction when making this determination. 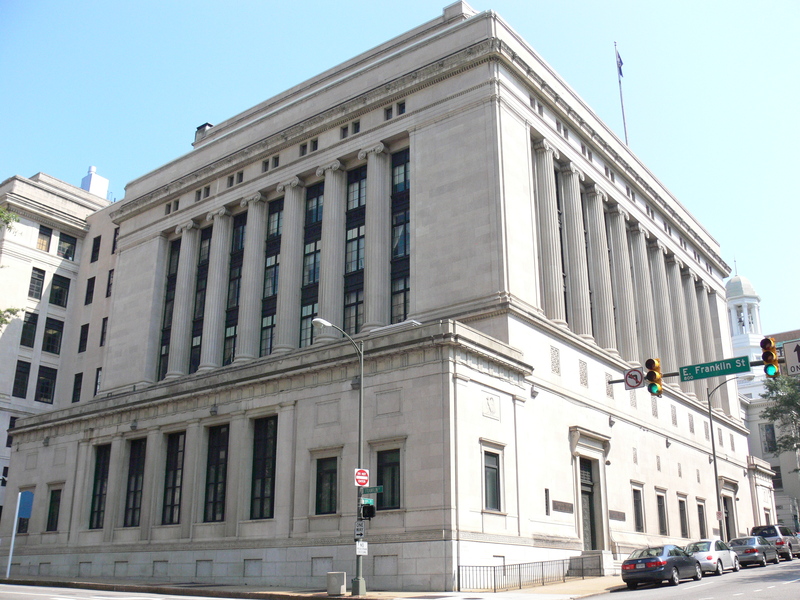 An opinion issued earlier this month in Fairfax County Circuit Court demonstrates what a high burden this can be for a plaintiff seeking to prevent its employees from working for a competitor. Wings, LLC, provides commercial and residential vinyl, fabric, and leather repair services in Northern Virginia, the District of Columbia, Southern Maryland, and West Virginia. Wings’ customers consist primarily of auto dealerships and collision centers who hire Wings to repair car interiors on site. Wings hired two gentlemen as vinyl, velour and leather repair technicians and required them to sign agreements containing non-solicitation and non-competition provisions that prohibited them from working as technicians anywhere in Virginia, Maryland, West Virginia, and any other state in which Wings transacted business, for a period of two years following the termination of employment. (See pages 2 and 3 of the opinion for the full text of the noncompete provision). When companies sue their former employees on the ground that they allegedly breached a broadly-worded noncompete agreement, a common defense tactic has been to file a demurrer, arguing that the complaint fails to state a claim upon which relief can be granted. The thinking was that if the noncompete agreement at issue was overly broad on its face, it would be deemed unenforceable as a matter of law and incapable of supporting a lawsuit. Those days are over, according to Assurance Data Inc. v. Malyevac, an employer-friendly ruling of Virginia’s high court decided earlier this month. Assurance Data, Inc. (ADI) entered into an agreement with John Malyevac which required Malyevac to sell ADI’s computer products and services. The agreement contained non-competition, non-solicitation, non-disclosure and return-of-confidential-information provisions. A few months after entering into the agreement, Malyevac resigned. ADI filed a complaint in Fairfax County Circuit Court alleging that Malyevac violated the agreement. Malyevac demurred, asserting that the complaint failed to state a cognizable claim. Like the 12(b)(6) motion to dismiss used in federal court, a demurrer tests the legal sufficiency of the facts alleged in the complaint and determines whether a complaint states a cause of action upon which relief can be granted. When ruling on a demurrer, a court may not decide the merits of a claim. (That’s what trials are for). If a complaint contains sufficient facts to inform a defendant of the nature and character of a claim, the complaint will survive a demurrer. The Supreme Court of Virginia recently heard appeals in Preferred Systems Solutions, Inc. v. GP Consulting, LLC, a Fairfax non-compete case previously covered by this blog. The case involved a dispute between a government contractor, Preferred Systems Solutions, Inc. (PSS) and its subcontractor, GP Consulting, LLC (GP). GP terminated its contract with PSS and entered into a contract with a PSS competitor. PSS sued GP alleging breach of contract, misappropriation of trade secrets and tortious interference with contract. The trial court awarded PSS compensatory damages based on its finding that GP breached the non-compete clause in the parties’ contract and that PSS was entitled to recover its lost profits, which it had proven with reasonable certainty. The Virginia Supreme Court affirmed. Contracts that limit competition are not favored in Virginia and are enforceable only if narrowly drawn to protect an employer’s legitimate business interest, not unduly burdensome on an employee’s ability to earn a living and not against public policy. The court considers the function, geographic scope, and duration of the restriction in evaluating these factors. Here, the court found that the function of the non-compete clause was narrowly drawn as it was limited to work in support of a particular program run under the auspices of a particular government agency and limited to the same or similar type of information technology support offered by PSS. Likewise, the twelve month duration of the non-compete was narrowly drawn in the court’s view. The court found that the lack of a specific geographic limitation was not fatal to the non-compete clause because it was so narrowly drawn to this particular project and the handful of companies in direct competition with PSS. Accordingly, the court found that the clause was enforceable. When the nursing homes asked for a rate reduction, ProTherapy provided a new contract with the same clause. The contract also permitted either party to terminate the contract with 90-days’ notice. Just weeks later, the parent company of the nursing homes gave ProTherapy 90-days’ notice and hired Reliant Pro Rehab, LLC to do the same job at a lower cost. During the remaining 90-day period, Reliant began recruiting ProTherapy’s personnel who were still working in the nursing homes. Reliant was able to meet with them because the nursing homes provided lists of the ProTherapy personnel and helped make them available. As a result, Reliant hired sixty four of the ProTherapy therapists for its contract. Although Virginia courts often view non-compete covenants with disfavor, the United States District court for the Eastern District of Virginia recently upheld a non-compete agreement executed between Capital One and two of its former executives. A few months after acquiring North Fork Bank in late 2006, Capital One executed a Separation Agreement (“Agreement”) with the president of its Banking Segment, John Kanas, and Executive Vice President of Commercial Banking, John Bohlsen, both of whom previously held executive positions at North Fork Bank. The Agreement stipulated that Kanas and Bohlsen could not “engage in a Competitive Business . 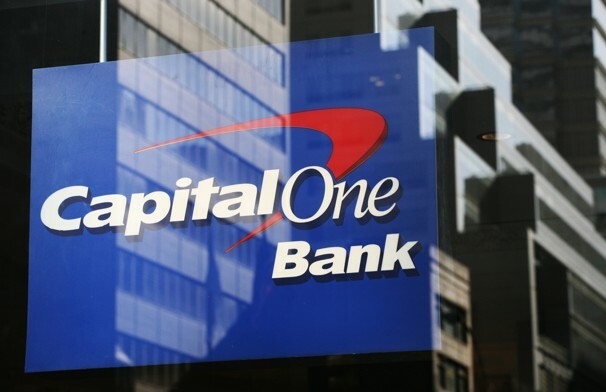 . . in New York, New Jersey, or Connecticut” for five years after leaving Capital One, except that they could own less than 10% of any entity for investment purposes, provide services to a competitor that Capital One did not offer, and work for a private equity firm, investment bank, or hedge fund. Two years after leaving Capital One, Kanas and Bohlsen opened BankUnited, which only had branches in Florida but held portfolios secured by property located in the Tri-State Area. BankUnited formed a subsidiary the following year that acquired a company that made loans secured by equipment also located in the Tri-State Area. Finally, in 2011, BankUnited entered into negotiations to acquire New York-based bank Herald National, with the stipulation that Kanas and Bohlsen would not provide services to Herald National until the termination of the Agreement. Capital One sued Kanas and Bohlsen for breach of the Agreement. Kanas and Bohlsen sought summary judgment, claiming the non-compete provision in the Agreement was an unreasonable restraint of competition and should be deemed void. In Virginia, unreasonable covenants not to compete are unenforceable. “A reasonable non-compete is: (1) narrowly drawn [as to geographic scope, duration, and function of the restriction] to protect the employer’s legitimate business interest, (2) not unduly burdensome on the employee’s ability to earn a livelihood, and (3) consistent with public policy.” Virginia courts are less likely to void non-compete covenants if they are found in agreements concerning a sale of a business or goodwill, and if policy considerations would support enforcement of the covenant. If the non-compete provisions are contained in agreements concerning the employer-employee relationship, then the employer has a heavier burden in demonstrating the reasonableness of the provision restricting competition. “Greater latitude is allowed in determining the reasonableness of a restrictive covenant when the covenant relates to the sale of a business,” the court noted.